When I found the chocolate of Willie’s Cacao my wife wanted to try for such a long time now, she decided to surprise me with a little present of herself. 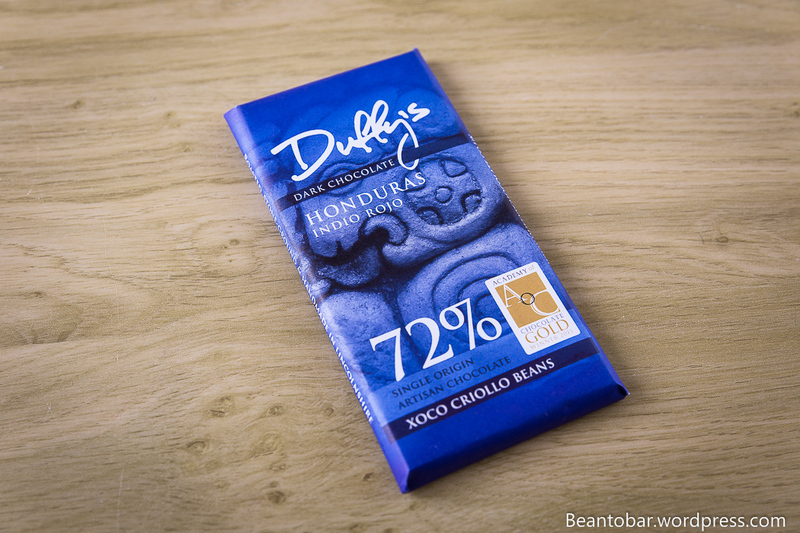 So I got this Duffy’s Indio Rojo bar… Isn’t she the best wife ever? Today we have an Academy of Chocolate gold-awarded bar on the table. 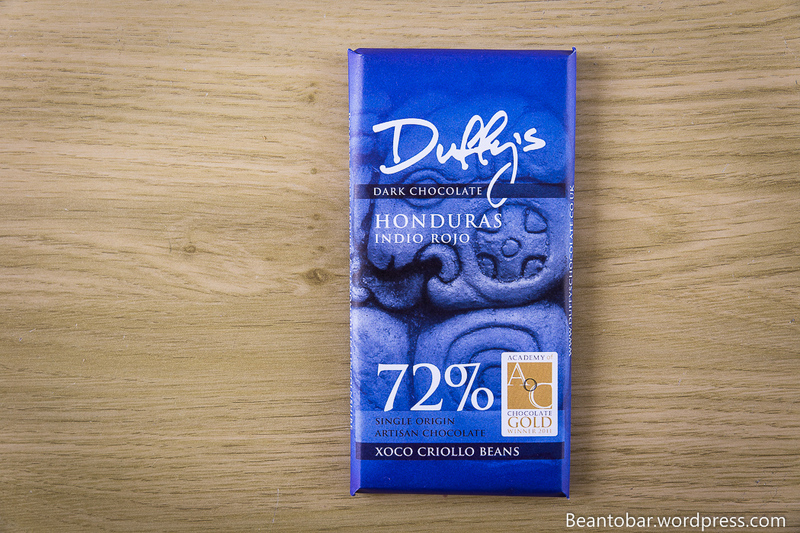 Honduras isn’t an origin you see on many bars. So this makes for an extra appeal, to discover a new region and range of flavors. Indio Rojo means red Indian. Let’s see if this Indian can make us dream of far and exotic places. I was immediately struck by the vibrant color of the wrapper. You simply can’t ignore this bar. The blue color and Mayan-style decoration take you straight to South-America, the birthplace of cacao and chocolate. The wrapper proudly shows the origin and percentage of the chocolate. I just love the design. The 80 grams bar is pretty big, as I see more and more 50g tablets. Hidden in a silver foil, it comes out with a very tempting aroma. The bar itself is pretty simple in design. A perfectly molded piece of chocolate, carefully divided in rectangular pieces. Neat and sleek. Color: a lighter shade of brown with a glorious red hint. So the name returns in the color of the bar. Nice! Aroma: a touch of leather, raw cacao, faint orange in the back combined with dark wood. Taste: hard snap on breaking of a piece, always a good sign. 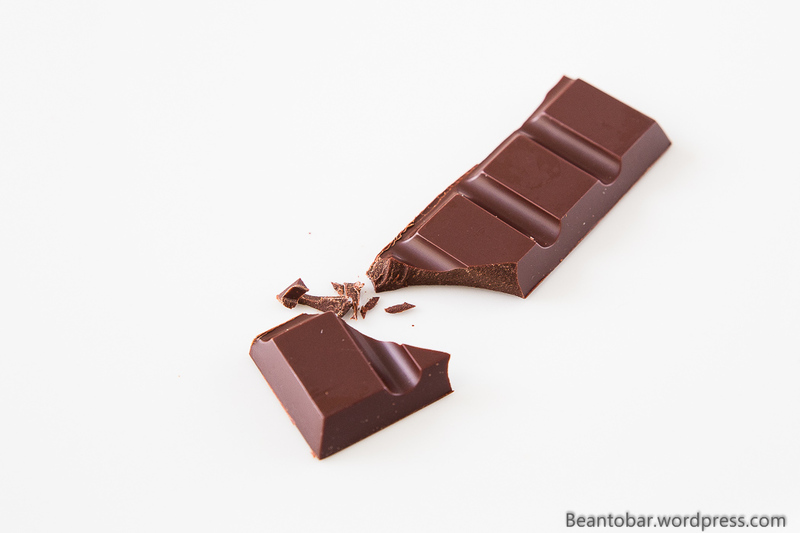 The chocolate is medium quick opening with sweet caramelized nuts and brown sugar and very chocolaty, before turning into a nice tangy, orange flower aroma that echoes around in your mouth and becomes stronger on the palate. Amidst, a dash of dried apricot pops up. Suddenly the fruits subdues and more herbal notes come through, reminding me of hay and spices with a pinch of cinnamon. The chocolate bites you a bit on the tongue near the end as if it was a much higher cacao percentage, before releasing a delicate aftertaste that revives the orange blossom flavors. 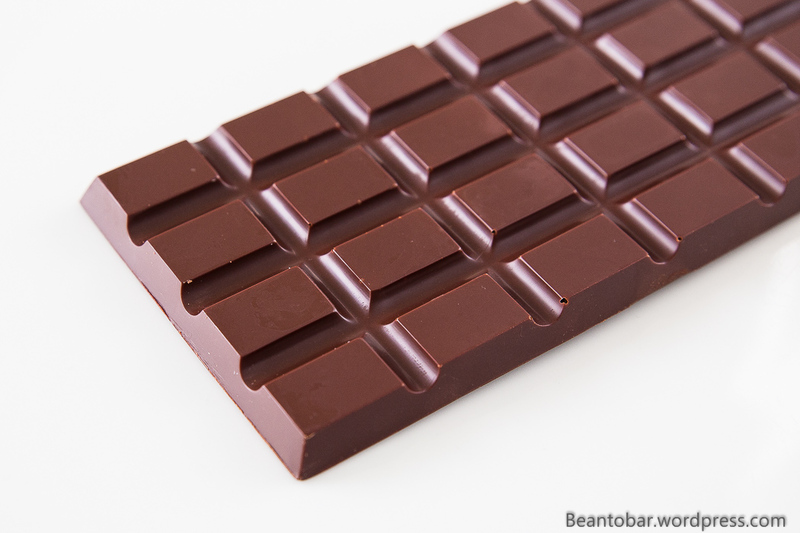 The aftertaste has a great length and keeps evolving as does the chocolate itself. After the fruity tones again come some herbal notes swirling around a heavenly chocolaty flavor and a touch of coffee. The texture of the chocolate is good, if ever so slightly grainy. But it melts superbly in the mouth. This bar was awarded with gold by the Academy of Chocolate in 2011 and I can clearly see why. It’s not often that you will experience a chocolate that evolves as much as this one. I once heard a connoisseur explain that Duffy builds three stage rocket chocolate. And in fact, this bar displays three distinct flavor profiles while savouring it. But on top of that, Duffy’s manages to create an aftertaste that keeps changing too! Doubling the fun! 5 stars in my book! It’s adorable how you guys are constantly surprising each other with not-so-sweet chocolate gifts! Ahhh, this one probably is not for me!